Another birthday post! 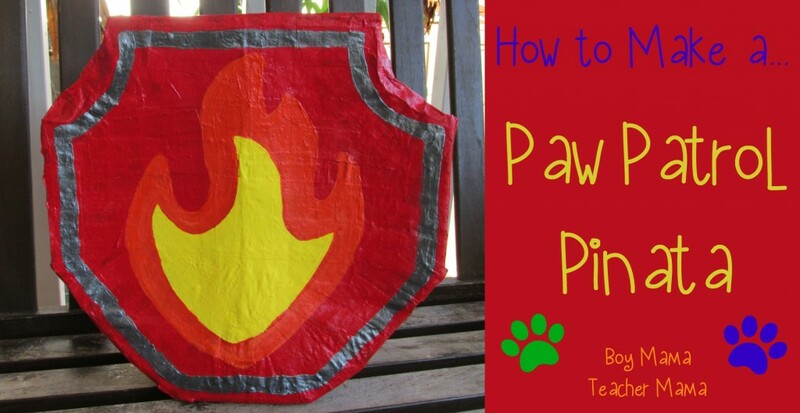 I was looking for a Paw Patrol pinata for the party. Do you know how much they are??? And they are not very cute either. 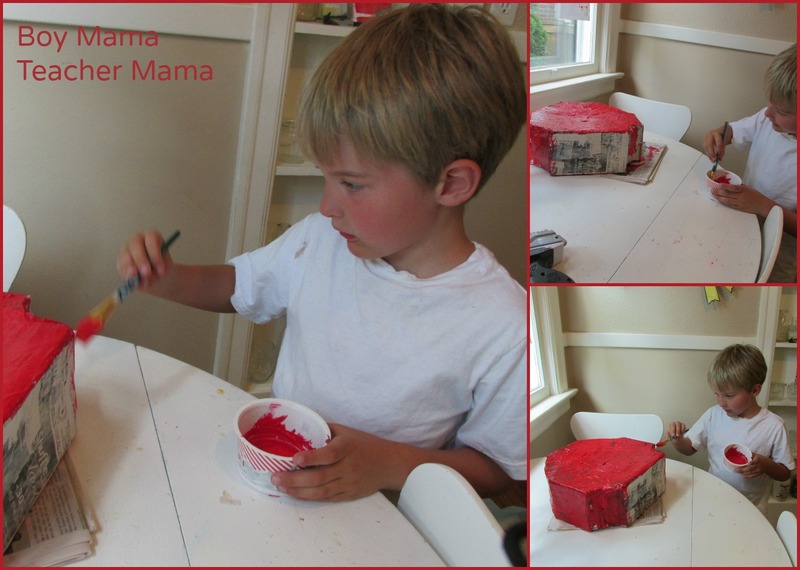 I have made pinatas before so I decided I would make one for this party. 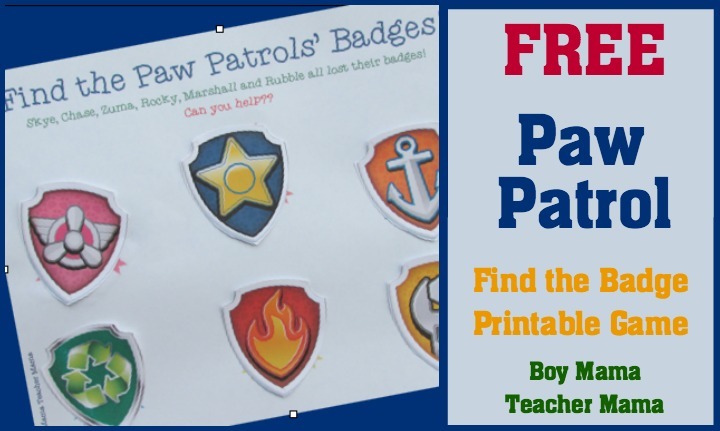 We picked Marshall’s badge because it is probably the easiest one to make and because my son really likes him and Rocky the best. 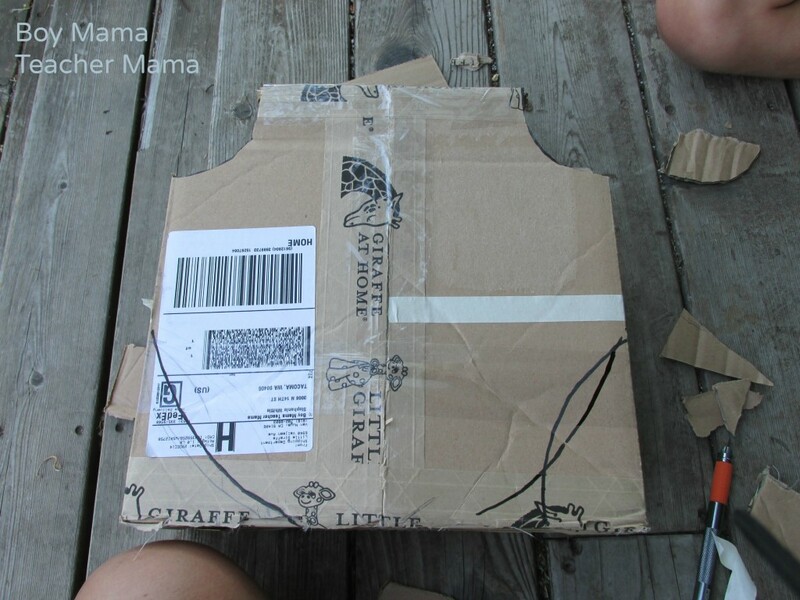 The first step was drawing the badge shape on the box. I then trimmed away the excess parts using an exacto-knife. Here are some pictures of how I did it. The trick was to trim off the same shape and amount from the back and front without separating the pieces. To me it was like trimming and shaping a cake. 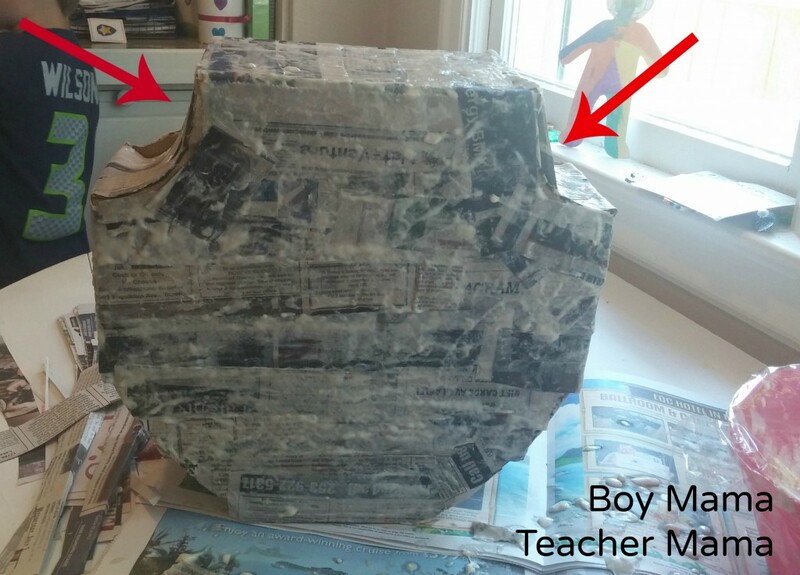 After the box was shaped, I mixed up some flour and water into a paste for the paper mache. I did not follow any specific recipe I simply added water to the flour until I had a consistency I like remembering that the flour is what holds it all together. I also tore up some newspaper into strips. The trickiest part was where the arrows are below. When laying down the newspaper strips, you have to let them fall a bit to create a curve. It wasn’t hard, but doing it this way made the final product look even better. After two layers of paper mache, my son and I painted it red. 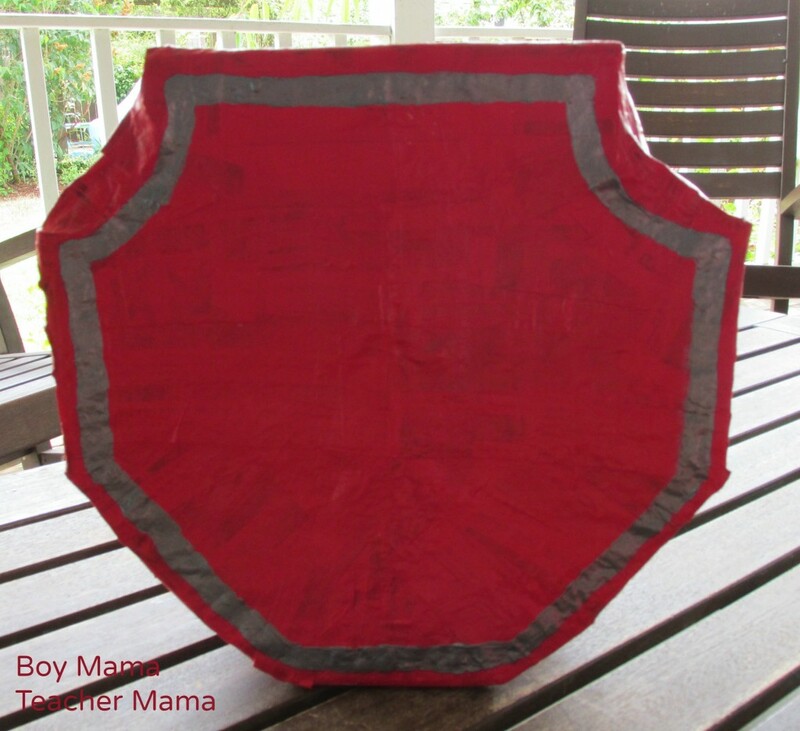 Once the red was dry, I used silver paint to create the edge of the badge. 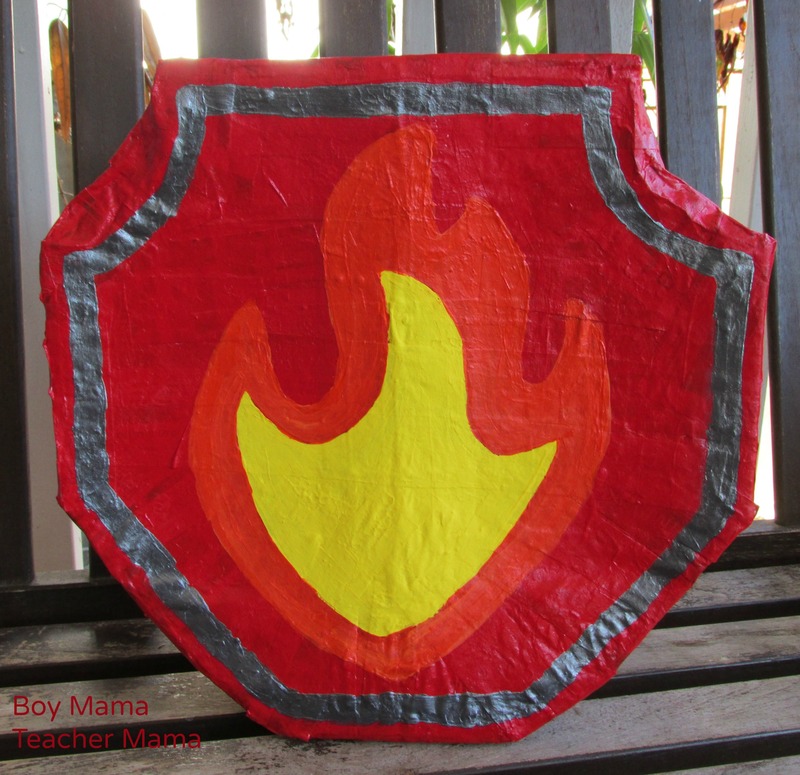 I then found the badge image on the web, copied it into a word processing program, enlarged it as big as a piece of 8.5 by 11 paper and printed it twice. 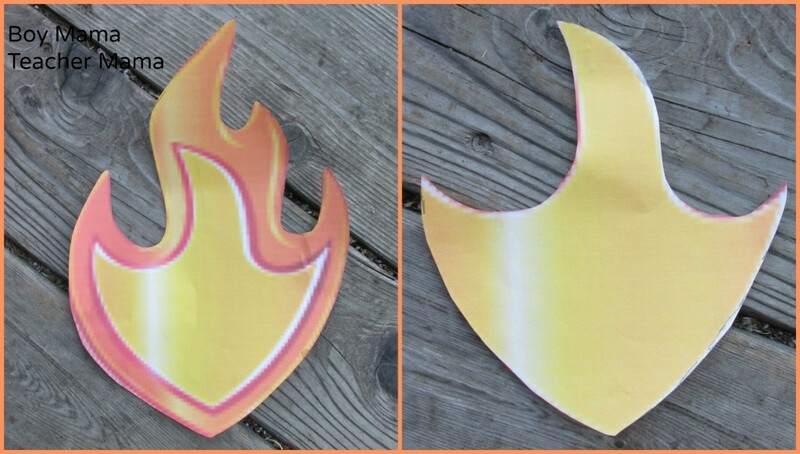 I cut the first page around the orange flames and the second around the yellow flames. 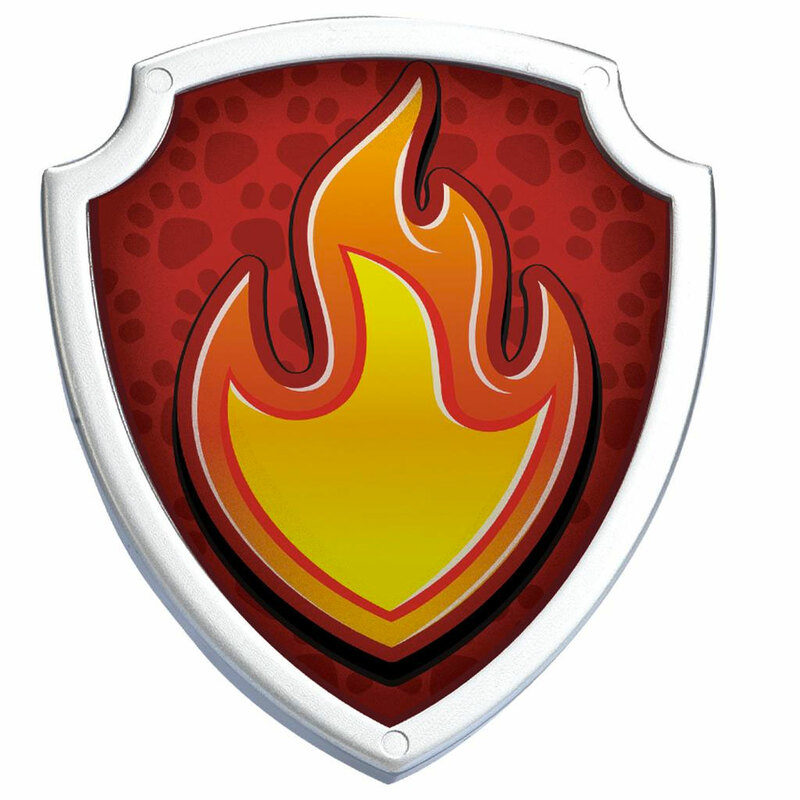 I then used these as templates for the flames on the badge. I first traced them in pencil and then went over the lines in paint. Finally, I filled in the lines with the orange and yellow to complete the image. 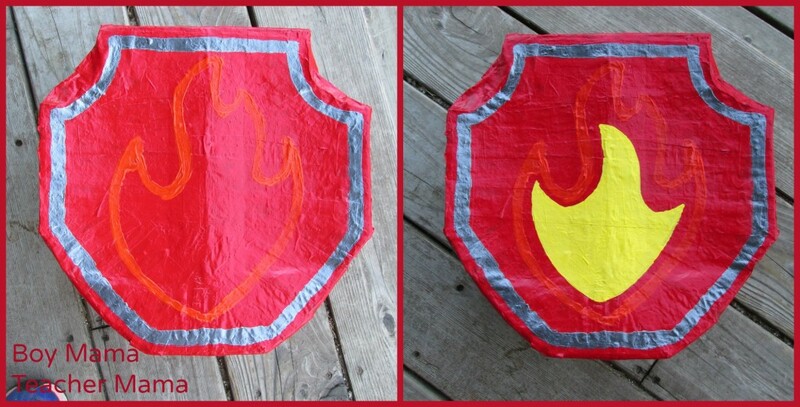 Here is the finished Paw Patrol pinata. 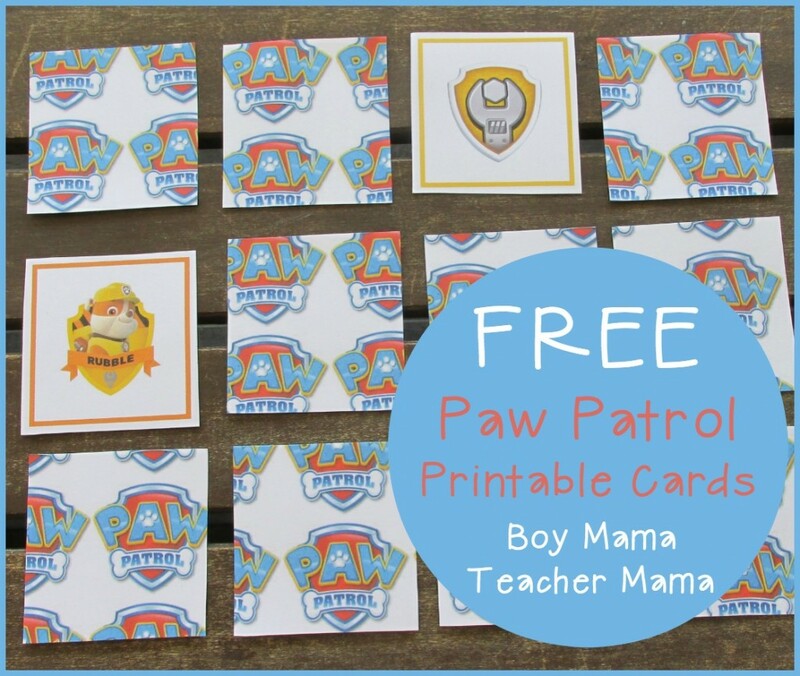 Looking for more Paw Patrol ideas?